It is no surprise to me that higher education has withered on the vine at nearly the same time that the humanities lost their power and influence on college campuses. The humanities died because people don't think they are valuable. Higher education, as it once was, is dead for similar reasons. Whereas a "humanistic" education was once seen as valuable, it is now seen as useless to devote time to anything in college that requires reading, writing, or critical thinking as relates to political, cultural, racial, and social issues. I've even heard some people begin to lump certain sciences, as well as mathematics, into the "humanities" category, since they too are now deemed as not granting students skills immediately applicable to the job market upon graduation. This is a trend that I expect will continue, indeed, no discipline is safe from being marked as "useless." As more and more subjects are deemed "useless" by capitalism and the "job market," they'll join the traditional humanities subjects: History, English, etc., as pariahs. They will lose their funding. Students will stop caring about them. The quality of professors teaching those subjects will decline. And society will be worse off for it. We live in a world today that doesn't see education for the sake of education as being valuable. Everything needs to have a tangible immediate gain, or it isn't worthwhile. This, of course, misses the point of an education entirely, and also ignores the long-term benefits of a well-rounded education. It's ironic, really. As someone who has been around the university environment for nearly a decade as an undergraduate and graduate student, it's striking to see how higher education has hamstrung itself. To see this in action, allow me to pose a question: do most college administrators, faculty, and students see themselves as working against Donald Trump? Most would probably say "yes." Consider, however, the possibility that this isn't necessarily true. If most college administrators, faculty, and students are either actively working to diminish the humanities, or, at the very least, feel forced to do so, then in many ways they are working for Trump and his strategy of ignorance. As well-intentioned as many anti-Trump students are, they only strengthen his cause when they attack him from a place of ignorance, which is far more likely to be the case if they haven't shown some interest in mastering an aspect of the humanities and social sciences. Some will say that the destruction of the humanities, the destruction of higher education, has been a necessity. To better prepare Millennials and Generation Z for the "real world," they need to focus less on history and more on programming or engineering. They would say that, while it might be nice to know about the pro-slavery origins of the U.S. constitution, you can't really make money off that knowledge, while, theoretically, you can make money from knowing how to design iPhone apps. To these people, picking a path in college that leads to a lucrative six-figure job is paramount, especially since the cost of college is so high. But this is like saying that the solution to fixing a fatal flaw in a ship's hull is to design better lifeboats rather than to build a better ship. The only reason why higher education became so prohibitively expensive is because we've lost sight of what it's supposed to do, which is to prepare people to become well-rounded members of society. In the past two decades, college has become much more about making money, either from selling research or selling "the college experience" to rich students. In turn, we've tried to course correct by forcing STEM degrees upon everyone, regardless of their individual talents, so that parents and society-at-large continue to feel like a $120,000 bachelor's degree is worth it. Had we kept the cost of higher education down, we wouldn't have had to eliminate the humanities. Had we not eliminated the humanities, we would have smarter students who know how to think, read, and listen, which in turn would make better scientists, engineers, programmers, doctors, teachers, and citizens. Had we maintained our original understanding of higher education as a realm where one tries to learn about everything, and in turn, becomes a better adult for it, we wouldn't feel so pressured to devote every waking moment of our undergraduate existence trying to do things that will allow us to pay back our loans after we graduate. 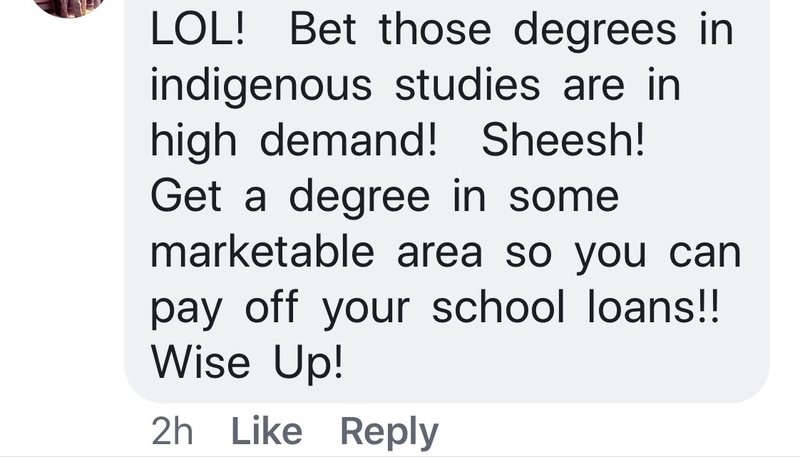 Of course, a decent wage and a humanities degree are not mutually exclusive. The older I get, the more I realize that most intelligent adults can do just about any job given proper training and the will to do it. Those with a humanities degree are as capable as most when it comes to a large swathe of professions. And some careers, like those that deal with managing people, writing, and many kinds of research and analysis, are the sole domains of people with humanities degrees. But because the career path for someone with a history degree is more amorphous than it is for someone with a degree in mechanical engineering, the latter is propped up while the former is cast aside like an obsolete smartphone. To echo what I stated at the start: higher education and the humanities go hand-in-hand. One cannot thrive without the other. It is no surprise to me that the death of the humanities occurred at the same time that higher education became more cost-prohibitive, elitist, and dedicated to catering to only a small subset of its students. This leads us to ask: what came first, the death of the humanities, or the decline of higher education? I could speculate, but in truth, the answer doesn't matter. There is no higher education without the humanities, and the humanities cannot exist in a system that prioritizes profit, administrative bloat, and opulent student facilities to the detriment of all else. A strong humanities presence would have prevented the growth of a system that is inherently flawed, elitist, narrow-minded, and ill-equipped to prepare the country for a complex economic future where human issues will be of equal importance to issues reserved to the realm of STEM. Without the humanities guiding it, higher education has no conscience. And in the end, we'll all suffer for it.